Mayor Harry Lane, in office from 1905 to 1909, is one of my favorite mayors that Portland ever had. If you’ve never heard of him, you should read the Wikipedia entry on him. Some of his highlights: “Father of the Rose Festival”, pro-suffrage and anti-white supremacy (unlike his grandfather). Oh, and he ended up being a US Senator, too. He hated corruption, and was very hands-on with some of his practices. 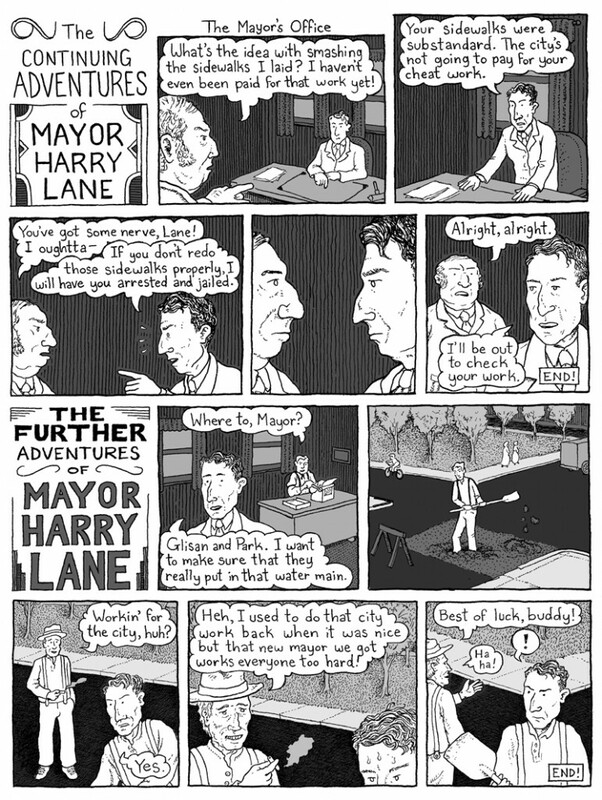 According to E. Kimbark MacColl in The Shaping of a City (pages 340 – 341), the two incidents drawn in the comic were described by Harry Lane himself and widely reported by others. Khris Soden live in Portland, Oregon. He likes going on long walks, reading, and petting cats. Will there be a graphic novel? This should be in the library. Will there be a graphic novel? This would be a great way to share this history. I love this! This is our Harry, through and through. 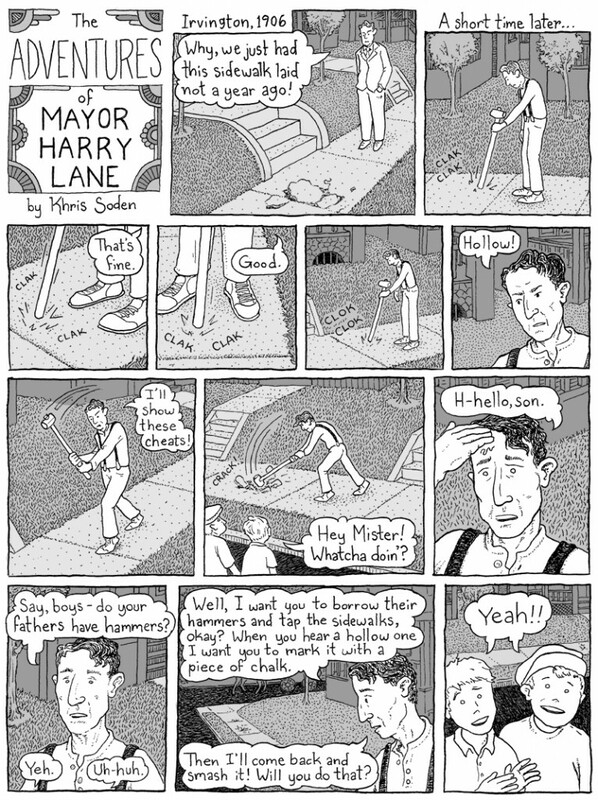 We’ve had a Mayor Harry Living History character for years, and he keeps the spirit of this nonconformist alive. Happy 160th Birthday, Mayor Harry!